I love the Clinique Chubby Sticks. Who doesn't love the Clinique Chubby Sticks? They're so simple to use and they work great. This is why I've been wanting to get my hands on today's product for a while, but as usual, hadn't gotten around to it yet (there's too many things on the list, that's why!). But now I have. Woohoo! The Clinique Chubby Stick Cheek Colour Balm is a cream blush in the traditional Chubby Stick packaging. Clinique claim that it is an oil-free, creamy, mistake-proof blush that creates a healthy looking glow on the skin. It comes in a range of four shades, but the one that I have to show you today is 03 Roly Posy Rosy which is described as a tawny/coral colour. 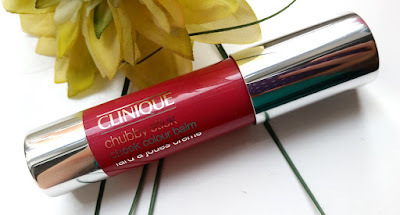 It comes packaged in the same type of packaging as the rest of the Chubby Stick range; a chubby pen type of packaging that is made of plastic the same colour as the product inside. It has a twisty bottom to push the product up when you need more and it also has a plastic cap to cover it. If you're a regular reader of the blog, then I am sure that you are well aware of my love for versatile beauty products. Especially ones like the one featured in today's review. 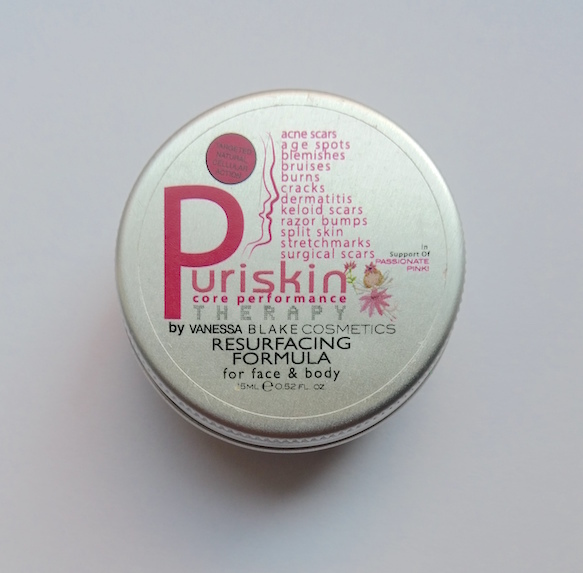 The Puriskin Core Performance Therapy Resurfacing Formula for Face and Body is a natural cream that is designed to help with a range of skin issues, including acne scars, blemishes, bruises, dermatitis, burns, cracks, surgical scars, stretch marks, razor bumps, age spots and more. The cream includes Vitamin E and cucumber as well as cocoa butter, comfrey and tigergrass. In addition, it also contains a selection of essential oils, including jojoba, coconut, borage, evening primrose and chamomile as well as allantoin, known for its healing abilities. On top of all of that, it is also lanolin and paraben free. The full size comes packaged in a squeezy tube that holds 50ml of product, but the one that I have is the small tin version that arrived in a previous Birchbox. The cream itself is white in colour and doesn't really have any kind of scent to it. There is just a hint of a "emollient" like scent, which will probably make more sense if you've tried those types of products before. Eyebrows and Benefit are two words that are a match made in heaven. Benefit know brows. They are good with brows. You know that you could walk up to a Benefit counter, sit down, not say a word and know that you will leave with the best brows on road (see my Benefit Brow Bar experience post). So when they released a new range of eyebrow products, beauty fans got excited. Understandably. Today I have one of the new releases to show you all: the Benefit Goof Proof Brow Pencil. There are so many options from the new Brow Collection range for different types of eyebrows, whether you have sparse brows, shapeless brows, unruly brows, whatever. The Goof Proof Brow Pencil is described as being the best option for patchy brows. It has a simple to use, non-sharpen tip that comes in a sort of diamond-ish shape (more on that in a minute) and has a creamy, glide-on, waterproof formula for quick and easy eyebrow filling and shaping that also lasts for up to 12 hours. It comes in a range of six shades from the lightest, platinum blonde shades down to the deepest black (the one featured in this post is shade 5). Sounds good, right? It comes packaged in a super pretty silver, double-ended pencil with the actual product on one end and a spoolie brush on the other, both covered with funky, geometric caps. Now let's get into how this bad boy actually works. If you're looking for a skincare brand that is natural and paraben, mineral oil and animal cruelty free that also doesn't cost the earth, then this is one to take a look at. 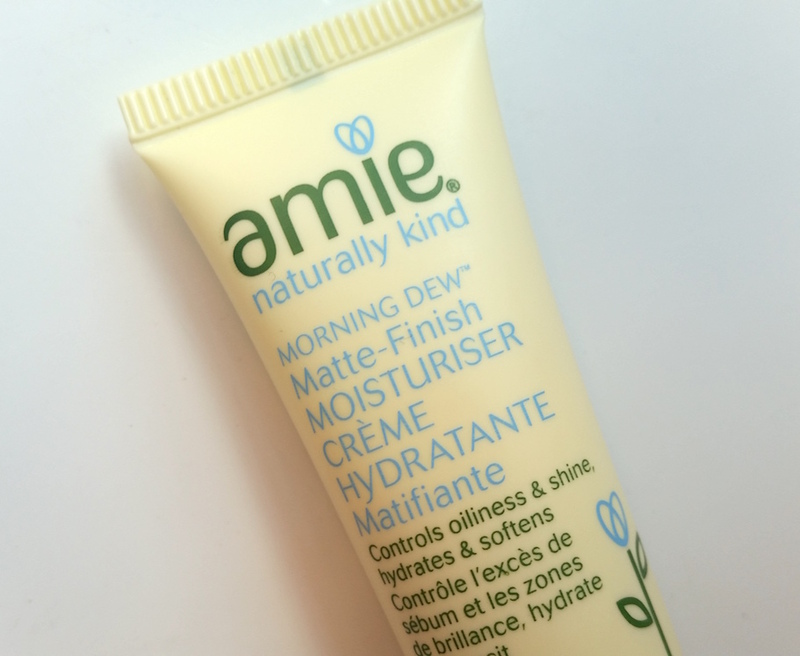 The Amie Morning Dew Matte Finish Moisturiser has a pretty self explanatory name. It is a facial lotion that leaves a silky smooth, matte finish to the skin. It has a 90.8% natural formula that promises to provide sufficient hydration yet leave the skin free of excess oil. It contains organic rosehip and bilberry, Vitamin E, natural plant sugars, lemon fruit extract and orange blossom to nourish, protect against pollution and sun damage, act as an antiseptic and clarify. This is a moisturiser that I've seen cropping up a lot and I have therefore been wanting to test it for a while. Then, when I was close to purchasing it ready to finally give it a whirl for the blog, a sample appears in my August Birchbag. Talk about great timing! It comes packaged in a pale yellow squeezy tube and the product inside is also a pale yellow lotion. It has a clean, kind of soapy smell to it. Today is just a quick update post as to what will be happening with the blog over the next few weeks. Recently it has been a little harder to schedule posts in as often as I would like to due to a varying array of factors. There have been some health issues within the family as of late which I need to prioritise and be around for. The good news though is that these life situations are temporary, so any changes that need to be made will also be temporary. I have decided therefore that for a few weeks there will only be one post a week until time becomes freed up. I'll make sure to keep everybody updated via Twitter when I'll be beginning my regular two posts a week again, so make sure that you're following me to find out! This isn't forever and I am not disappearing. I love posting for all of you, and even though I can't post as much as I want to right now, don't forget that appreciate every read from all of your beautiful faces. Thanks for making Beautifinous what is today.